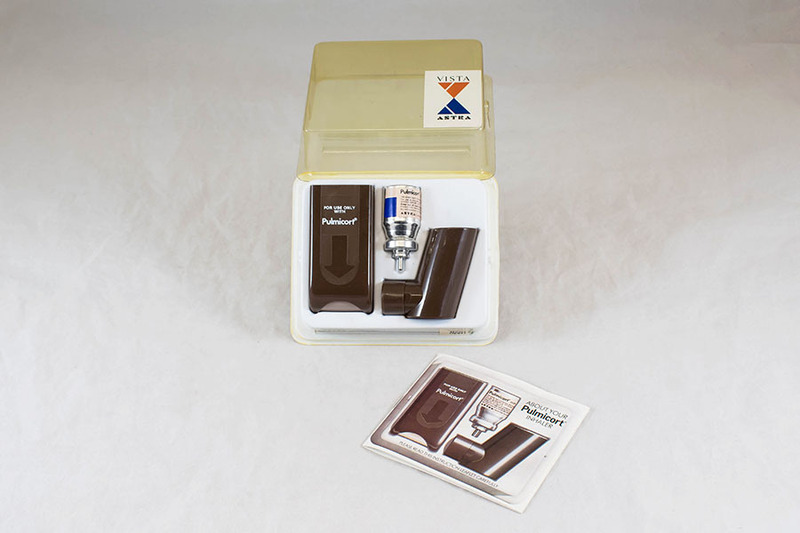 Pulmicort (budesonide) inhaler set, including inhaler, spacer, aerosol canister, and instruction booklet. 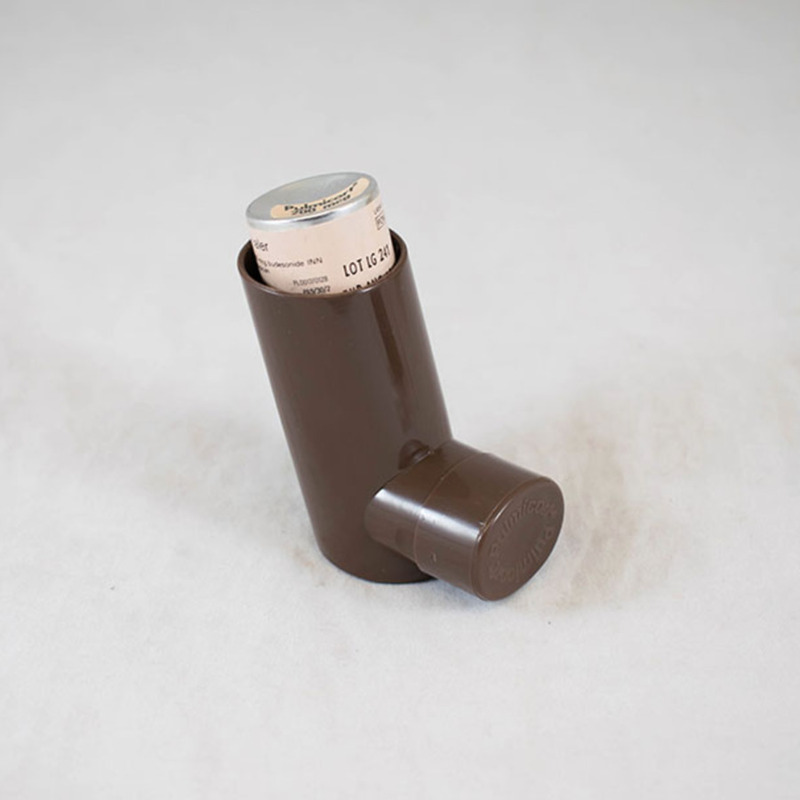 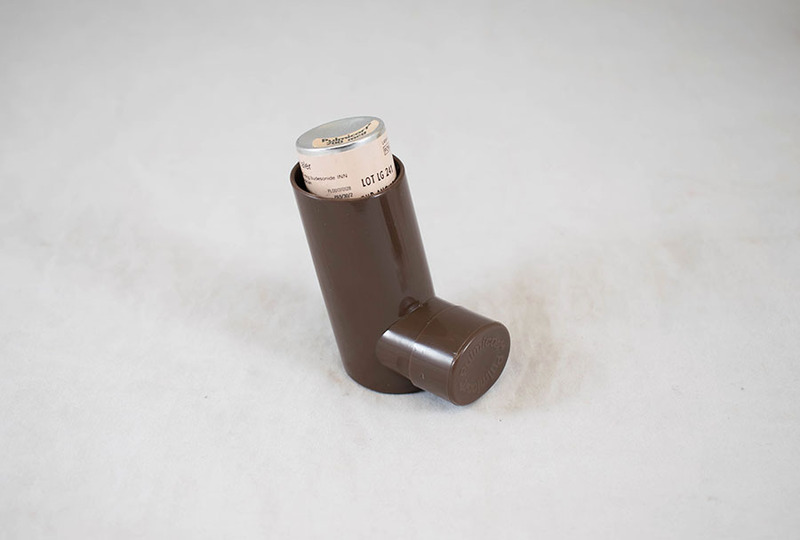 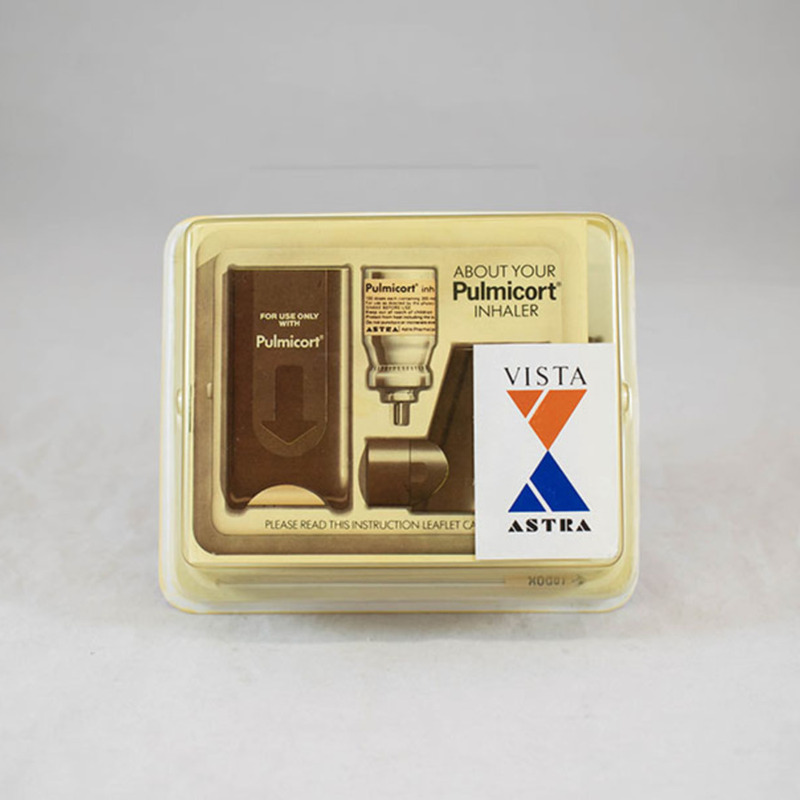 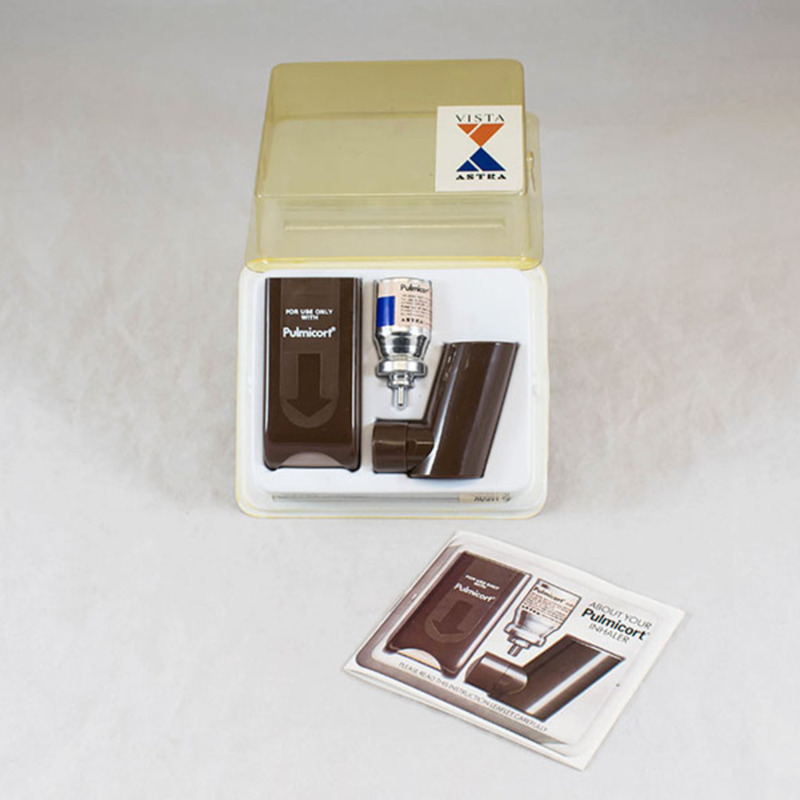 Astra Pharmaceuticals Ltd.; 1913-1999; Pharmaceuticals company, “Pulmicort inhaler,” Heritage, accessed April 20, 2019, https://heritage.rcpsg.ac.uk/items/show/1011. 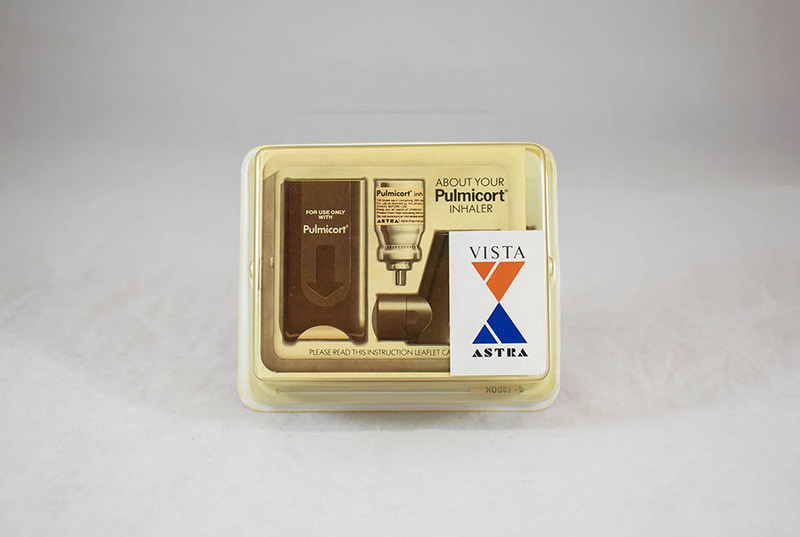 Description: Pulmicort (budesonide) inhaler set, including inhaler, spacer, aerosol canister, and instruction booklet.